Day 1. After our morning pick ups we depart for Portsmouth international port. We make a small diversion en-route & make a lunch stop in Winchester before continuing on to the port arriving with ample time to check into your selected cabins before joining us for your included meals in the Le Flora restaurant. After dinner relax in the bar and enjoy some on board entertainment or maybe take in a movie in the on-board cinema. Day 2. You wake today on board ship as we gently cruise across the Bay of Biscay enjoy your included breakfast before going on deck to maybe partake in a spot of Whale watching or take a dip in the on board swimming pool. We arrive in Santander early evening and after negotiating border checks we make the short one hour drive to our hotel arriving in time for you to settle in before dinner. Day 3. Enjoy a relaxing breakfast today as today you can enjoy a free day in resort. Stroll down to the beach or relax by the pool the choice is yours. Day 4. Our journey today takes us up into the central mountain range of the Picos de Europa. We travel the ancient route of the roman silver road up into the mountains before stopping near the source of the River Ebro at the town of Reinosa. Enjoy a pastry and a cafe con leche before we continue along the banks of the Ebro dam towards the Puerto del Escudo where we descend down the pass and onto the quaint little spa town of Puente Viesgo. We stop here for free time to relax over lunch in one of the many restaurants in town. Later we depart & make our way back to our hotel and arrive with time to refresh before dinner. Day 5. Today we travel to the charming port town of Castro Urdiales with its narrow streets and its imposing church overlooking the town. Enjoy a coffee in one of the many sea front cafes or stroll down to the harbour & relax amid the hustle & bustle of this busy commercial area. We depart for our hotel late afternoon & arrive back in time to relax before dinner. Day 6. After a leisurely breakfast today we make our way to Covadonga an historic site in the mountains where the Spanish stopped the Mongol. After free time here we depart for the small town of Santa Maria de la Barquera situated on the coast, this quaint little town has many Tapas Bars to allow you to relax. Day 7. sadly today we must leave our hotel and start our journey homeward. We travel into the city of Santander where you will have free time to explore this historic and vibrant city. Stroll along the promenade and take in the sights such as the Palacio de la Magdalena once a royal summer residence on the Magdalena peninsula or take in the Cathedral de Santander. Return to your holiday coach early afternoon to book in & board once again the Pont Aven. Relax on-board before again joining us for your evening meal before retiring to your cabin. Day 8. Join us for breakfast before enjoying the time on-board to relax before we arrive back in the UK. Once we clear passport control we make our way homeward arriving back in our local area late evening. Please Note: When travelling abroad after the end of March Passengers are required to have 6 months left on their passports in the event of a no-deal Brexit. Can you also make sure you have travel insurance as the blue EU cards will no longer be valid. 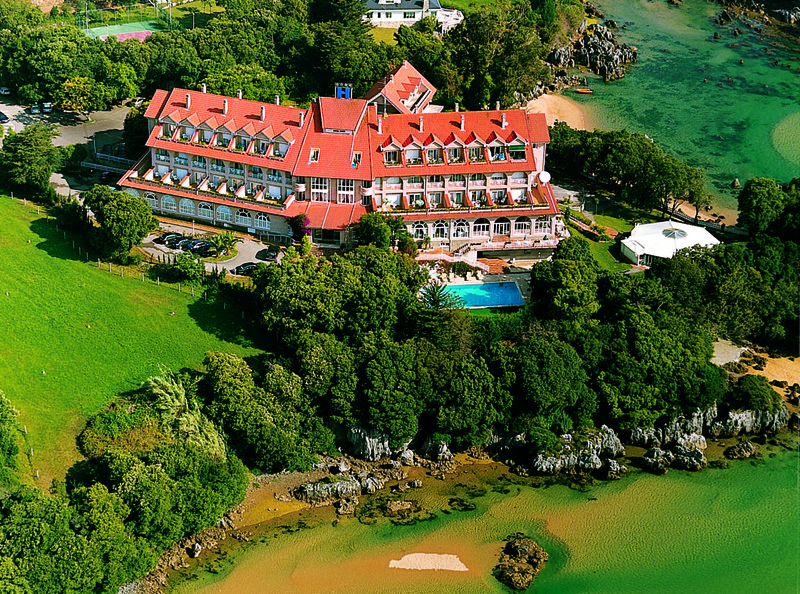 Hotel Olimpo is a 4* hotel with a fantastic scenic location on a small peninsula in the town of Isla. 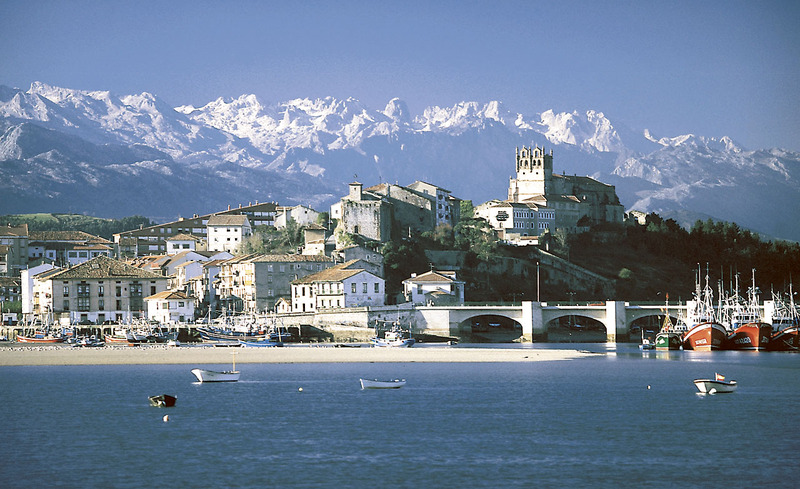 The town is situated on the Cantabrian coast close to the city of Santander and offers easy access to surrounding countryside coast to mountains. The hotels gardens offer access onto two sandy beaches and the outdoor swimming pool and terrace are perfect places to relax on a sunny afternoon alternatively the small town of Isla is a short stroll from the hotel. The hotel has 70 guest rooms all with private facilities and a balcony overlooking either the sea or gardens. Unfortunately the hotel does not have any walk in showers, all rooms have showers over a bath tub. The hotel benefits from a large bright restaurant with a nautical theme as well as a large bar ,quiet lounges, shop, hairdresser & sauna & solarium the hotel also has two lifts that serves all floors and are wheelchair friendly.